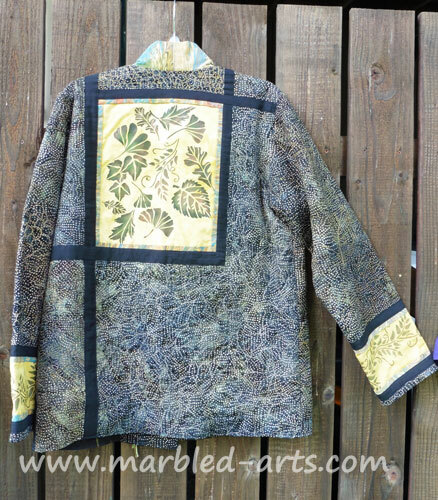 Falling Leaves is one of my favorite jackets, it is easy to wear and it has pockets. It is also a paintstik project that evolved, it started as a simple jacket and ended up rather dramatic, never fails to attract attention. 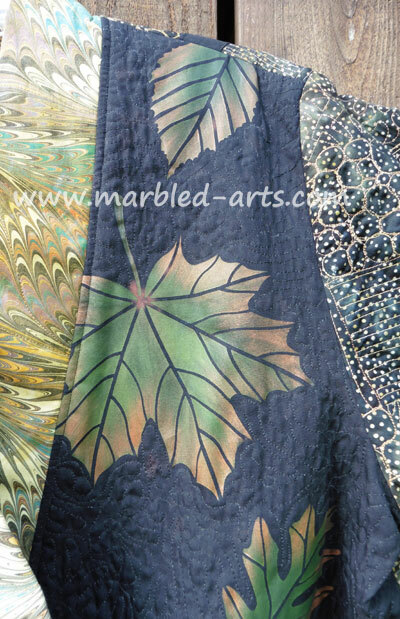 The original panels are the ones you see on Hand Dyed Gold fabric. 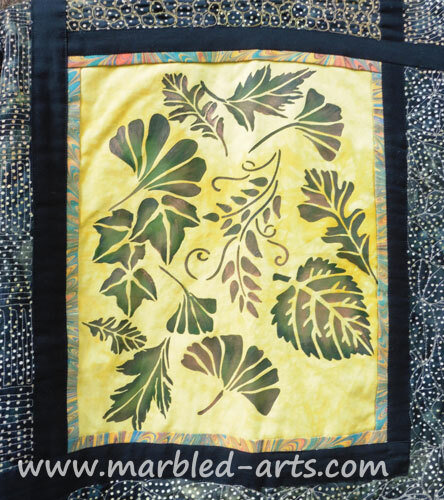 I uses a wide variety of leaf and vine stencils, Matte Sap Green and Meadow Green with a light wash of Iridescent Copper on the edges for the panels. Below is a close-up of the back panel. The black (Left Side) of the jacket is were it received it name, I was walking in the wood with the dogs and saw the leaves falling and knew that was the way to finish the jacket. The same paintstik colors but on black this time. 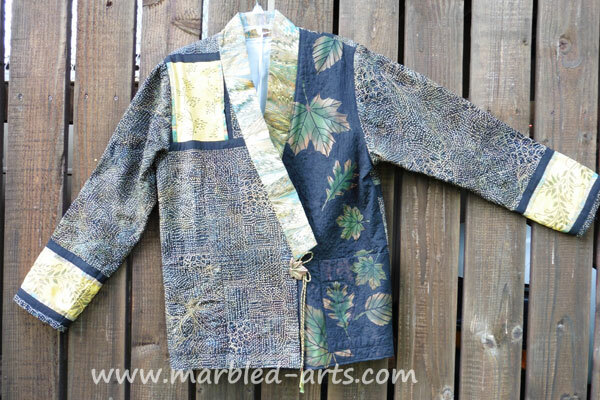 This entry was posted in Current Pattern Samples, Paintstik Projects & Class Description and tagged Beautiful Batiks, Hand Dyed Fabric, Hand Marbled Fabric, Marbled Fabric, paintstiks, Paintstiks & Stencils by admin. Bookmark the permalink.